Take your Xbox console to new heights with a vinyl Xbox skin. Everybody has an individual style, your console shouldn’t be any different. Choose an Xbox skin which will represent your quirky personality. Blend in with your surroundings with a camouflage skin. Be flashy with a fluorescent Xbox skin. Protect your console from the elements whilst changing the look. What’s not to love about that? There is an Xbox skin out there for everyone. How is Vinyl Revolution’s customer service? How do I fit my Xbox skin? Your new Xbox skin has just arrived, the last thing you want is a problem applying it. That’s why our Xbox skins are precision cut for easy application. Every panel of the console is cut into individual stickers. Need some extra help applying your Xbox skin? Read through our detailed instruction guide. Printed designs are made from premium vinyl with Metascape® air-release technology. Revamp your console for a fresh new look. What Xbox skin should I choose? Choose one of our Xbox One skins which will give your Xbox the colour and attitude it deserves. There is an Xbox skin out there for everyone, including you! Speed matters. Your Xbox wrap is dispatched within 2 business days of your order. Standard shipping transit times range from 2-10 days depending on the destination. Next-day shipping available. Quality matters. Vinyl Revolution Xbox skins are made from durable, premium-quality vinyl built to withstand the harsh outdoor conditions. This vinyl will last and last. Make your console unique instantly and enjoy it for a long time. Can I get a custom Xbox wrap? Here at Vinyl Revolution, we have a vast collection of Xbox skins. Browse through our Xbox skins with ease using our new tag filters. Allowing you to quickly find the right Xbox skin for you. Can’t find anything which is tickling your fancy? 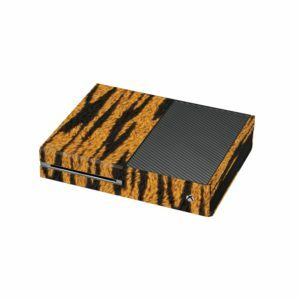 Contact us today for a custom Xbox skin. Simply choose a pattern or colour you like, we will do the rest.